The problem that I am having is gaining access to the URI so that I can write the raw value into some div tags. So, since that is the area that I am having difficulty with, I am focusing on only writing the URL not all the div containers; that will come later. This is correct. 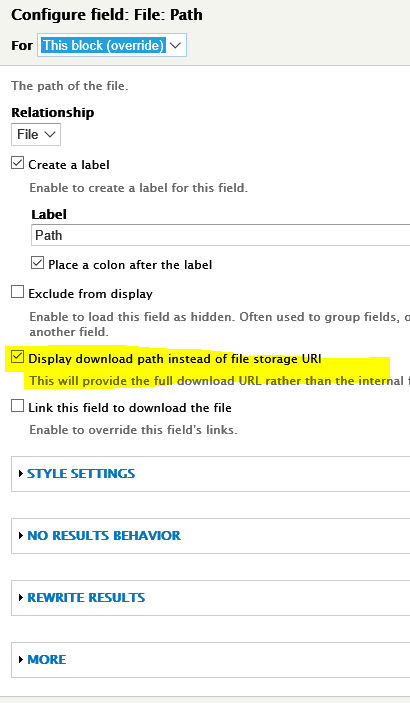 I will be running it through file_create_Url() later as soon as I figure out how to make it a relative link and not absolute. This I don't understand. If I wasn't referencing it correctly, I wouldn't get the URI value I am looking for. So...this confuses me greatly. I am trying to following the example that I found here: Rendering Drupal 7 Fields The Right Way because from what I can tell, this will also work in D8 (I could be wrong). That, and I want to legimately learn how to do this the right way. Let’s say, for whatever reason, you want to get the URL of a file, probably an image, and insert it into the markup of your document. Maybe, you want to use it in a slideshow and you need to rewrite the output so you can embed it within some div tags and assign it some classes for CSS. You can do with Views without modifying a template file or writing a single line of code . 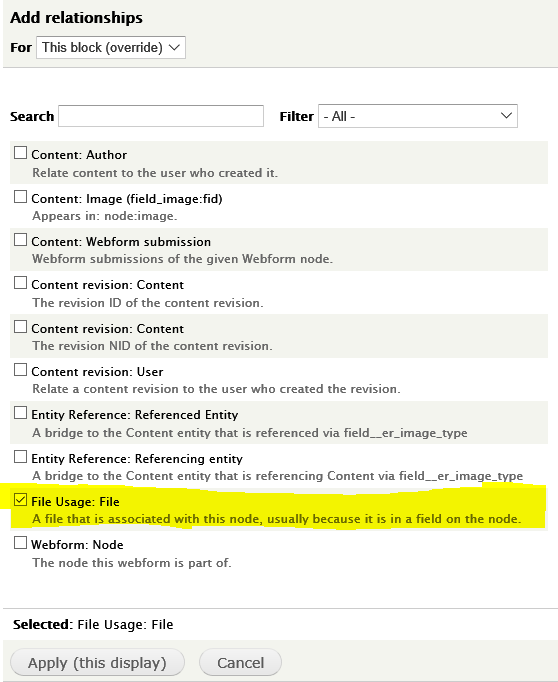 And because this module is built into Drupal 8 (unlike D7), you will be able to do this out of the box. Giving credit where credit is due, it was Jay from www.jay-epstien.com, the creator of the Drupal Relativity Data Model who showed me this simple solution. After reading this HOWTO, I encourage you to visit his site. I wrote this tutorial because I spent days researching this and wanted to save the sanity of anyone in a similar situation. 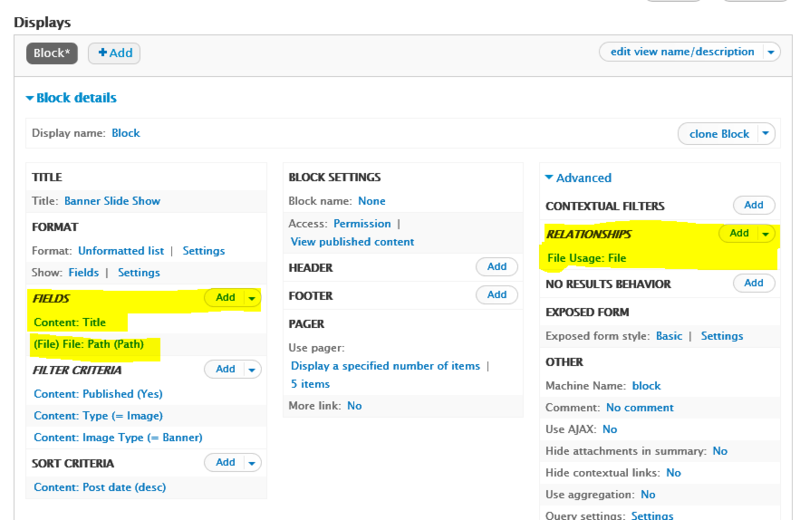 There are tons of posts throughout Stackexchange and on the Drupal API that show you how to accomplish this. I re-wrote my template file per these instructions and while it worked (my original question), it generated an error to which I never got an answer. There is another post that says to use the URL Formatter module. Using a module is something I want to avoid as I am not a subscriber to the “there’s a module for that” methodology. Also note, that URL Formatter module is not D8 compatible and must be rewritten. This solution doesn't need to be. We are proceeding under the assumption that you have the Views module installed and that you have created a view to show your desired content. There are lots of tutorials on doing just this so I won’t cover it here. Your fields can be any format, unformatted list, HTML list, grid, or whatever. For this example, I am going to use an unformatted list. If you are creating a View from scratch, you probably have the Title field already configured as a default. It should look similar to the picture below. The very first and most important thing that you need to do is create a Relationship to the File Entity. In the Views Display and under the Advanced tab you should see Relationships. Let’s add one. You don’t need to require this relationship, so go ahead and leave this check block blank. 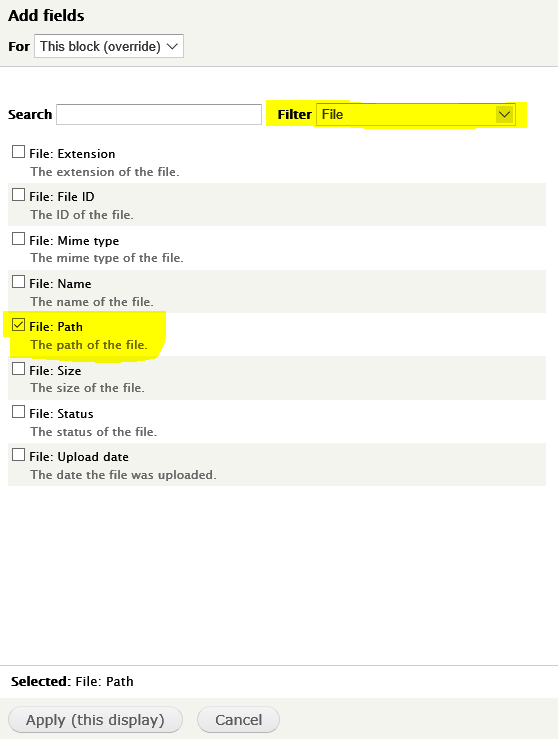 The Identifier of “File” is fine, but you can change this to something else if it makes referencing it for you easier. Let’s add another Field. I use the “File” filter in the selection dialog box to bring up all of my choices that are now available. Pick path. I tried this solution. But for me while adding the relationship field am getting Broken/missing handler error. Anybody please help me to solve this. Am using Drual 8. Would this work the same with a Media field or would there be any tweaks? I am trying this and I am getting Prajila's "Broken/missing handler" error. In D7 it works OK, but in case the nodes have versioning enabled, every file in the revisions will create a row on the view, resulting in duplicate nodes (and wrong, outdated files). Any idea on how to go around this? Thanks! [SOLVED] How to remove width and height from image field images in Views?